In March, we began our coaching sponsorship with the UBC Collegiate Team. Despite being seeded 65th in the Collegiate League, they delivered upset after upset and advanced to the Star League Finals in San Francisco to finish 2nd in North America. It was an outstanding journey for this amateur team and our coaches kAitorA and Rallphy were there to help them step by step. In the wake of this success, we're looking to continue with more coaching sponsorships for amateur teams. 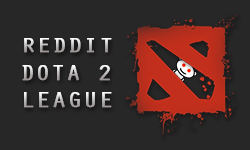 We recently spoke with the admins of Reddit's Dota 2 League and they agreed to allow us to provide professional coaching for some of their amateur teams in RD2L's Season 8. We tested the waters to see if members of the league were interested in working with coaches and got enough interest to proceed with the sponsorship. We'll be working with two interested teams selected by random draw after the Season 8 draft is completed. To coaches who are looking to practice their team coaching, amateur leagues like RD2L or AD2L provide a great forum for this. DotaCoach.org will be paying two official coaches to represent us in these leagues - but if you aren't selected as an official coach, consider getting involved and doing some pro bono work. We are currently looking for coaches with competitive experience, preferably in USA time zones, who would be available to coach for one to three hours each week at prescheduled practice times. This is a paid coaching position so contact us if you are interested in being considered for the role.